Share your six words on coming home from war. 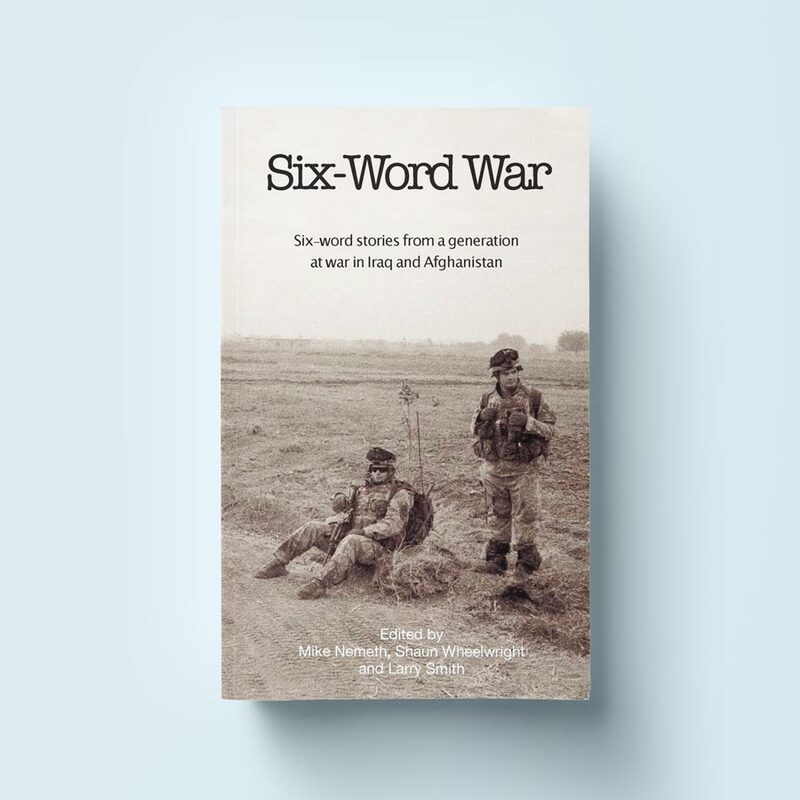 Instead of a book about Iraq or Afghanistan that tells only one soldier’s perspective, Six-Word War is the first ‘crowdsourced’ war memoir that shares a story different than any other ever told about war. For the first time in history, one book contains the collective experience of our military at war in their own words. Six-Word Memoirs is honored to team up with Iraq and Afghanistan Veterans of America (IAVA) to hear stories about coming home from war—in exactly six words. IAVA is the country’s first and largest nonprofit, nonpartisan organization for veterans of the wars in Iraq and Afghanistan, and has more than 200,000 veteran members and civilian supporters nationwide. IAVA addresses the critical issues facing new veterans and their families, including challenges related to education, employment, and healthcare. Visit IAVA, join its Facebook page, and follow IAVA on Twitter.